Before You Take a Stand ... You Got to Take a Chance. Holden Harris is an eighteen-year-old locked in a prison of autism. Despite his quiet ways and quirky behaviors, Holden is very happy and socially normal---on the inside, in a private world all his own. In reality, he is bullied at school by kids who only see that he is very different. Ella Reynolds is part of the 'in' crowd. A cheerleader and star of the high school drama production, her life seems perfect. When she catches Holden listening to her rehearse for the school play, she is drawn to him ... the way he is drawn to the music. Then, Ella makes a dramatic discovery---she and Holden were best friends as children. Frustrated by the way Holden is bullied, and horrified at the indifference of her peers, Ella decides to take a stand against the most privileged and popular kids at school. Including her boyfriend, Jake. Ella believes miracles can happen in the unlikeliest places, and that just maybe an entire community might celebrate from the sidelines. But will Holden's praying mother and the efforts of Ella and a cast of theater kids be enough to unlock the prison that contains Holden? This time, friendship, faith, and the power of a song must be strong enough to open the doors to the miracle Holden needs. 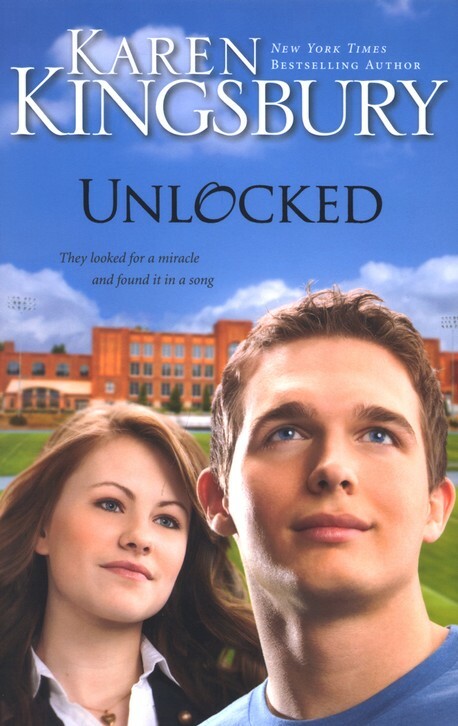 Unlocked is a book about miracles. It follows the parallel stories of two families, and about five or six people. All of them are in need of a miracle. All of them are locked in their own personal prison. Whether it is lobeliness, autism or failure, every one of them is praying for a miracle, whether they know it or not. And this is the book of how they get their miracle, each and every one of them, all touched by one very special boy and one incredibly talented and warm-hearted girl. Music is they key that can unlock Holden's beautiful soul from its prison of autism, but God is the One who ends up changing all these lives. It was really amazing for me to see that Holden was happy all along, satisfied with his life and his friendship with Jesus, but it was everyone else who needed to see the real him beneath his disability. I cried after I had read it, and books rarely make me cry. The story touched me in incredible ways, and it made me rethink some things in my life. It made me look deeper, and question how I see others and myself. How I judge my failures, and what ultimately brings me closer to God. This story isn't exactly a retelling of Beauty and the Beast, but it has some very crucial references to the fairytale. To me, it was a small masterpiece. For everyone who has ever felt you were in any kind of prison, and hoped for a miracle to finally pop the lock open, this book is for you. I received this book from Zondervan in exchange for a review.